Heading to Playa de las Americas in Tenerife this year? Then don't leave home until you've checked out our Playa De Las Americas guide. This is just a handful of 'must-dos' and no doubt you'll have plenty more to add, but it should give you a flavour of the breadth of things to see and do in this popular region of southern Tenerife. Nearby Siam Park is a monster of a water park. It's one of the biggest and the best in Europe, offering all manners of different themed rides, slides, flumes and screech-worthy entertainment. Day-long fun for all ages with plenty of on-site amenities including cafes, bars and restaurants. From Playa de las Americas you can book onto numerous wildlife-spotting excursions. Head out on a whale or dolphin-spotting trip to get up close and personal with these majestic creatures. Mount Teide is Tenerife's resident volcano. It's active but it's been dormant for some time now, and there's a cable car that can take you from the foot of the mountain to the top. 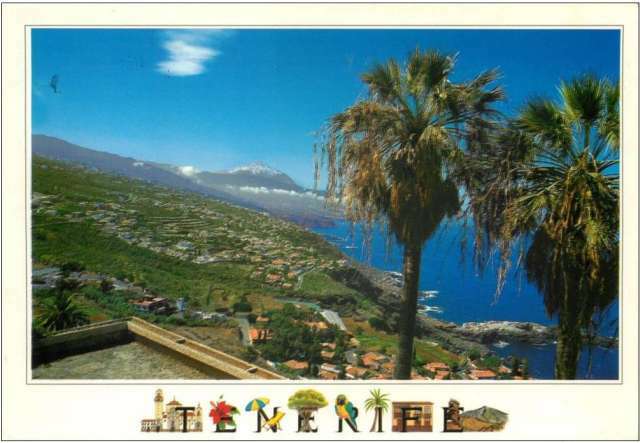 On a clear day you can enjoy spectacular views of Tenerife and the neighbouring island of La Gomera. Tenerife is famous for its golf courses. You can tee off with the sun on your skin and surrounded by spectacular views, be it of spectacular seascapes or against the mountainous backdrop of the island's famous volcano. According to Tenerife.com Hotels, the five-star Las Madrigueras Golf Resort & Spa Hotel in Playa de las Americas is a great place to stay, and it has its own golf course too. The tiny island of La Gomera is a nature-lover's heaven. It's a beautiful unspoilt place that you can get to by ferry or as part of an organised tour. Once on the island, explore the rocky trails and deep gorges of La Garajonay National Park, and wander through its traditional Canarian villages and dense pine-scented forests. Unsurprisingly, the park is on UNESCO's protected list so expect plenty of soul-stirring scenery and wildlife.